Wool is the hardest fiber to describe and categorize. There are myriad breeds all with different colors, fiber crimp, fiber length, fineness, and quality. 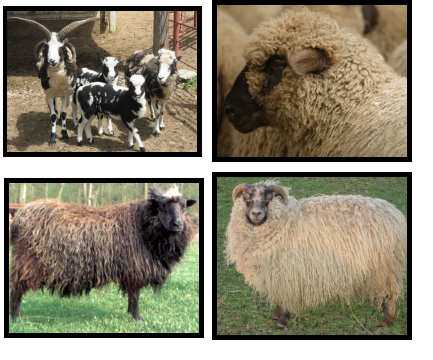 As a processor, each batch of wool behaves differently than the last, even from the same animals. In general though, wool is a tough versatile fiber that takes dye readily and can be made into just about anything from fine lace weight shawls to bulky aran sweaters. Our processing preserves the natural quality of the wool using no harsh chemicals to whiten or remove vegetable matter.